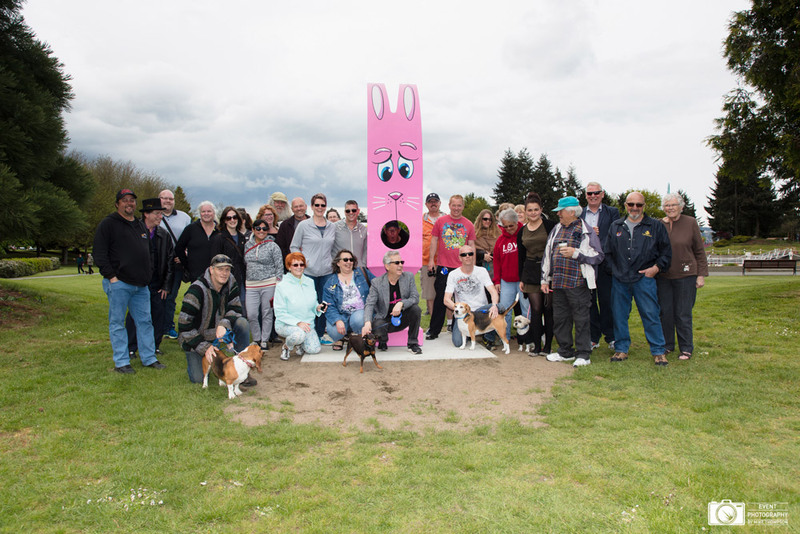 Work is now complete on Dasch’s Public Art piece – HungryBunny. 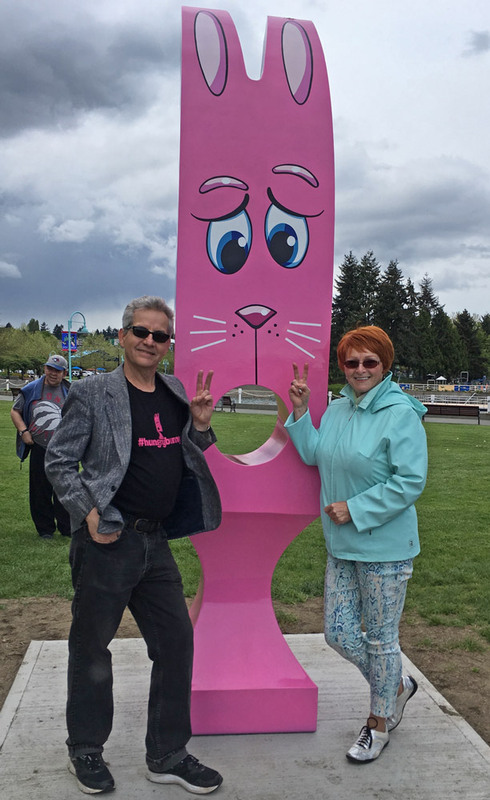 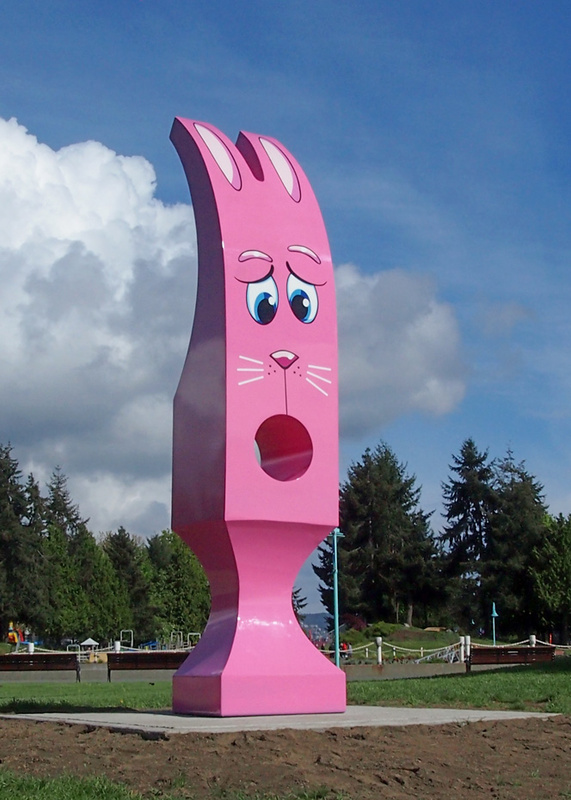 Hungry Bunny was fabricated by All Metals Installation Limited of Nanaimo BC and painted by Stewart Murray Auto Body and Collision and Ric Steed – also of Nanaimo. 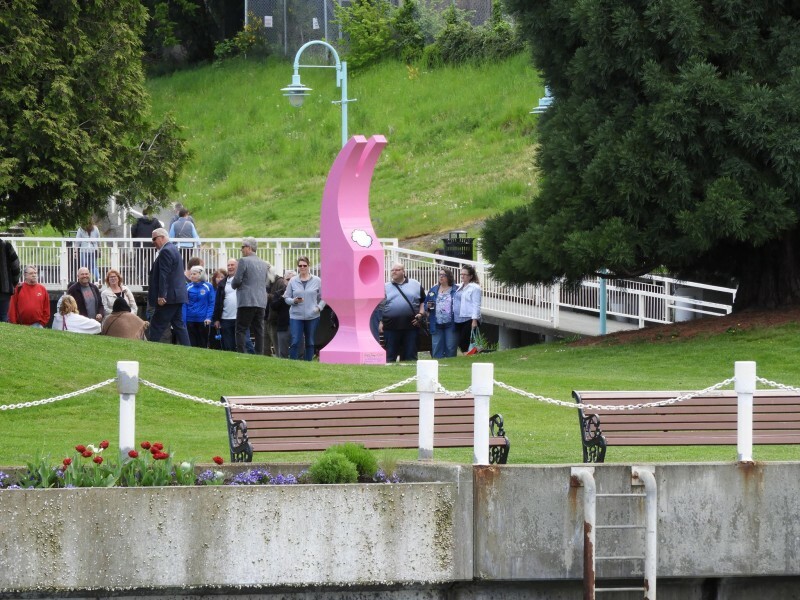 It is situated in Maffeo Sutton Park and stands roughly 3 metres tall.